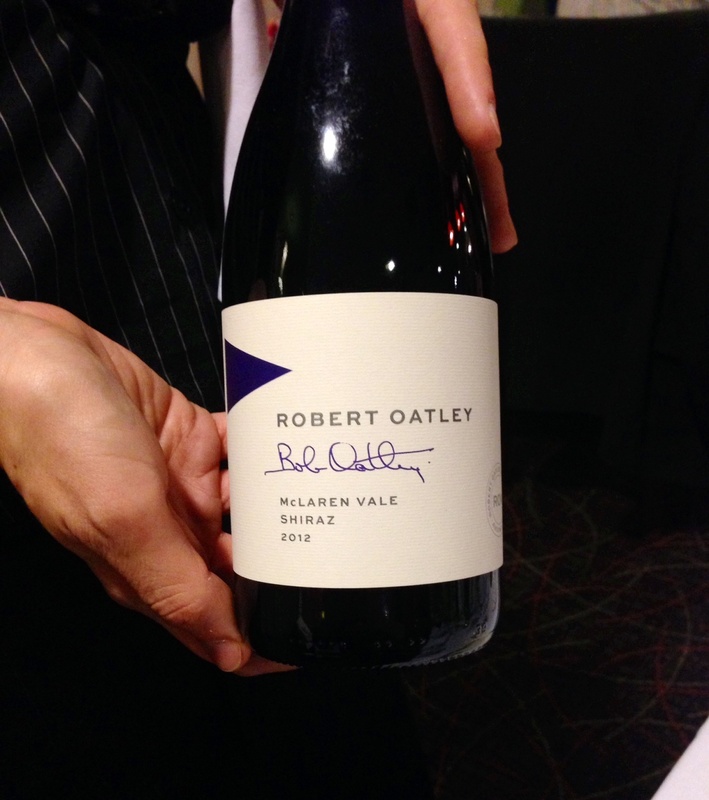 I’ve been meaning to do this review of the Robert Oatley Wine dinner at Peppercress Restaurant, Canberra Southern Cross Club, Tuggeranong for a while, but it’s difficult to just jot something down about a meal that is so damn good, you need a couple of hours to recall the tastes and sensations, fantastic wines and atmosphere. And I’ve finally found the time. There’s no getting away from it, I’m a massive fan of Peppercress. Not because I’ve been to quite a few of these wine nights, or because I’m a fiend for a bistro meal, or because I know the chef, but because it’s fine dining in Tuggeranong. It’s fine dining down the road from me, 5 star food in the middle of a culinary desert. We’re starved for excellent dining options in Tuggeranong, we’re literally falling off the edge of a nice, everyday takeaway kind of precipice. Peppercress consistently wins awards for it’s efforts at every club awards evenings, and recently, Head Chef Anurag Guatam and chef Bradley Howden, took out the ACTTAB Chefs Battle, against a very large Canberra field. I’d love to see the restaurant out of the Club food/bistro context and into Canberra’s ever widening foodiescape. For God’s sake, Canberra has even made it into the New York Times as A Place To Go. Peppercress needs to make it up there. Anyway, enough of that. Let’s move onto the food. 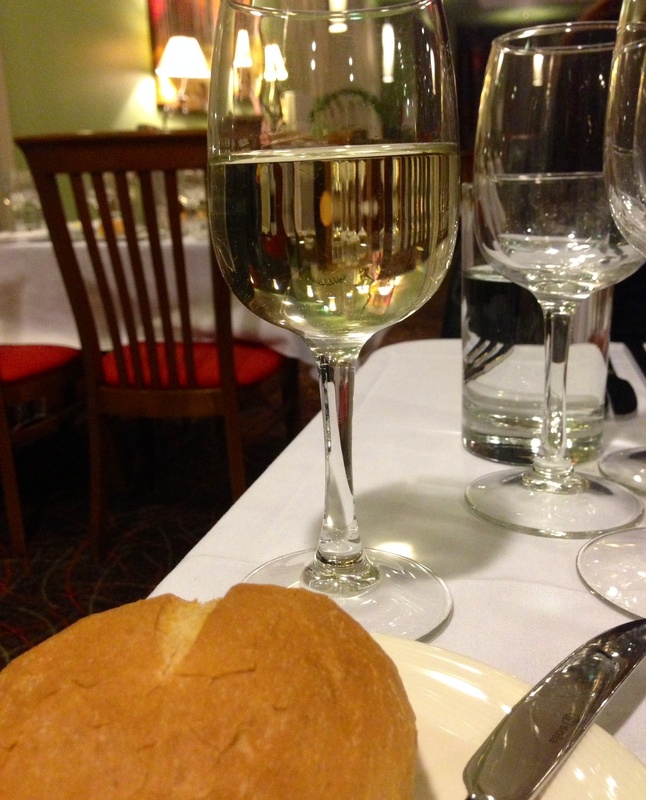 And the wine. There was a lot of wine consumed that night. You can tell that there was a lot of wine as the night wore on, my focus on photo’s wore off. In fact, I had to ask a fellow diner to photograph their plate as I forgot I was reviewing and ate my meal. Here’s a tip to the club though, move it to Friday night, it’s currently on a Thursday night. I can barely cope at work the next morning. 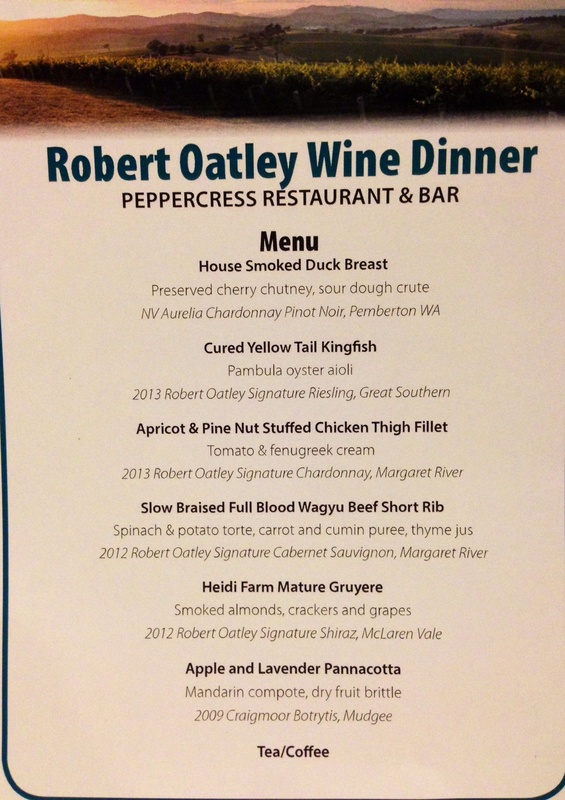 Apparently Robert Oately Wines used to be Rosemount. The family sold the winery, and went into islands. Hamilton Island to be precise. And continued yacht racing. 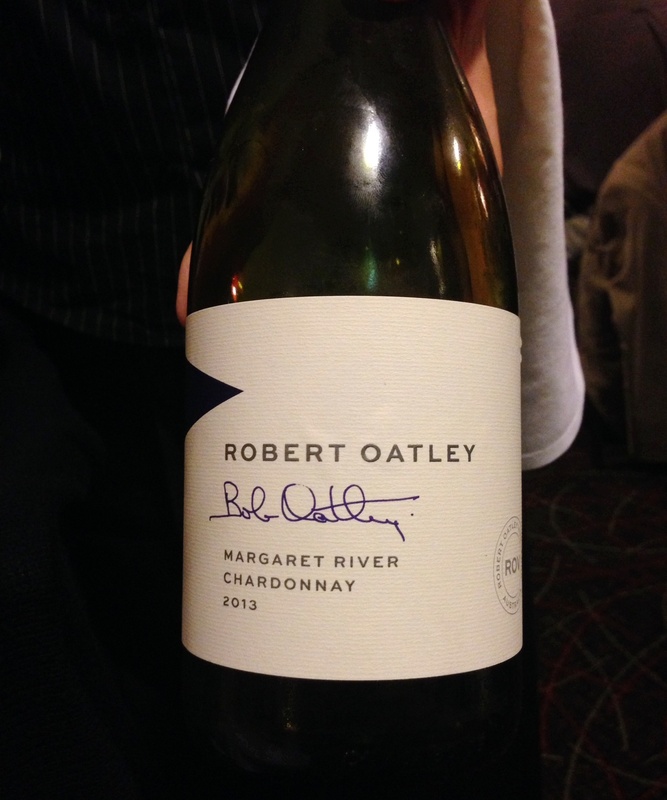 But the family missed wines and moved back into it with Robert Oatley Wines. And are putting out some fantastic wines. These wines are matched to regional, seasonal dishes, by Head Chef, Anurag Gautam and his talented team in the kitchen. 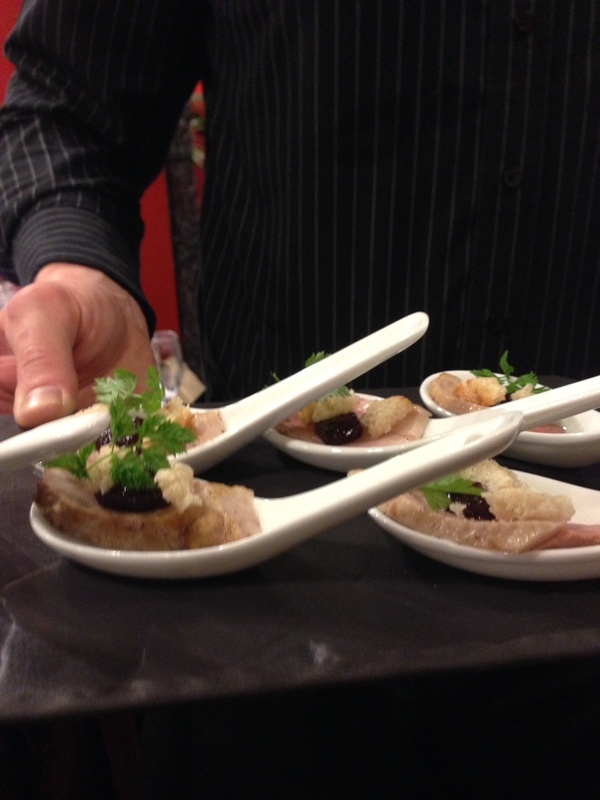 Our first treat for the evening was house smoked duck breast with preserved cherry chutney, on sour dough crute. The cherries are from Young and Anurag sources free range Aylesberry ducks and smokes them in house. In fact, he smokes most of the smoked items on his menus in house. That way he can guarantee the quality of the ingredients and the cooking source. This was matched with a NV Aurelia Chardonnay Pinot Noir. The smokey duck and almost sour cherry chutney bought out the sweetness of this wine, which had a light bubble and balanced the savoury nibble terribly well. 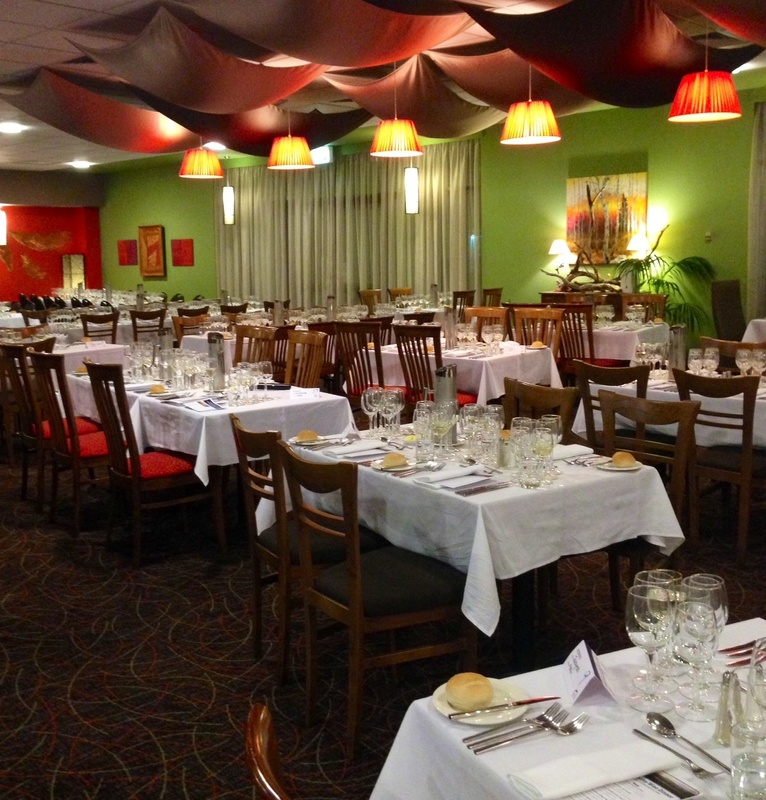 Just a peek at the empty restaurant before it was packed to capacity. 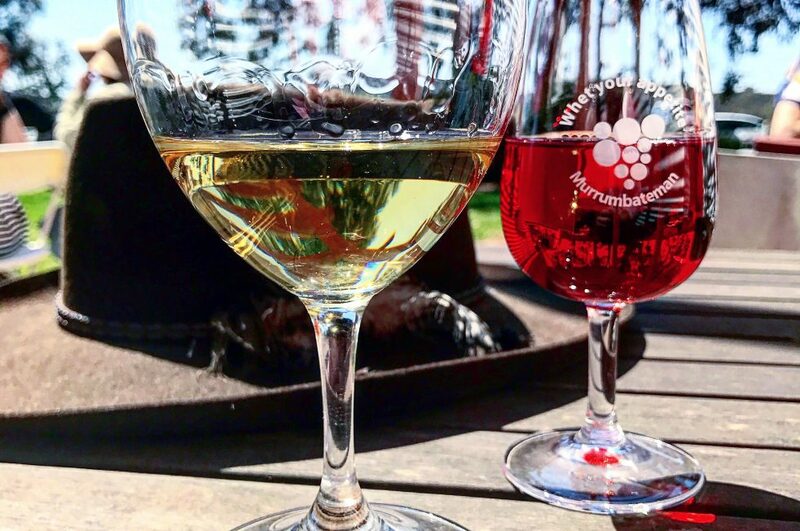 These wine nights sell out so quickly, so you have to get in early. Just look at all these glasses, ready and waiting to be topped up for the evening. 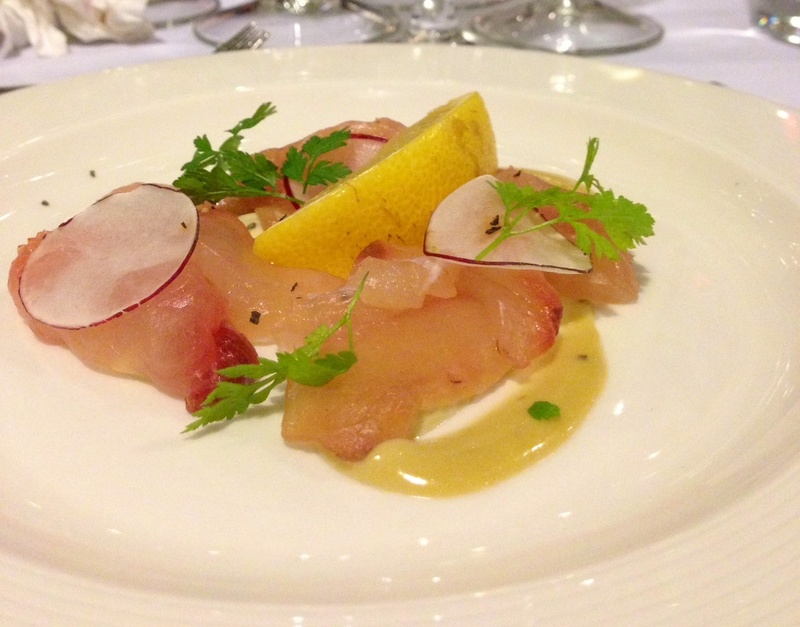 The Reisling was matched with cured yellow tail kingfish served with a Pambula oyster ailoi. That’s right, you read it right folks, oyster aioli. On first bite, I did a double take and thought what was the chef thinking? Looking around our large table a few others were thinking the same. But then we took another bite, and another, and Holy Oysters, Batman, but it worked. And how it worked! The kingfish was sweet, light, tender and not too fishy, but add the irony, smokey, briney oyster ailoi and it was like a mouthful of the ocean. Brilliant. 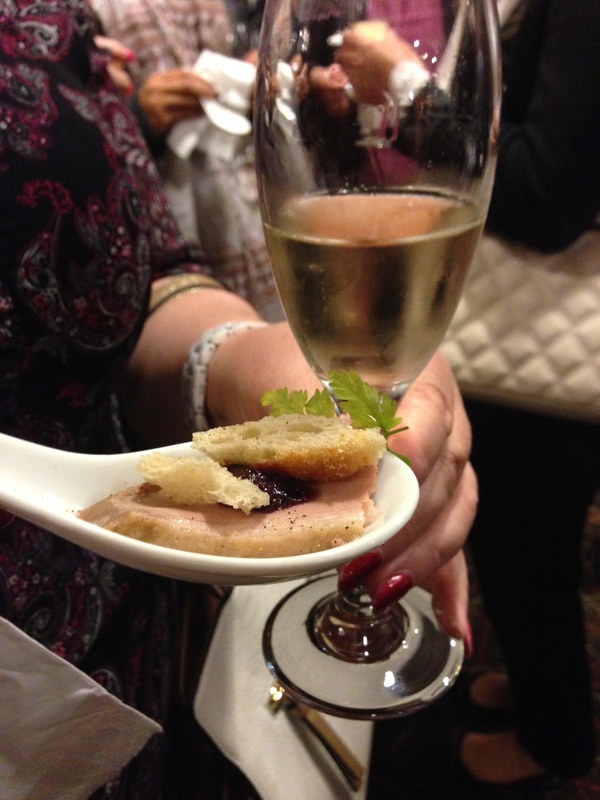 Chef was asked whether this was a well planned pairing or something they’re doing in all the top restaurants? No, it was simply a mistake. A house smoked fresh oyster dish gone not quite to plan and turned into a simply fantastic play on a simple aioli with fresh seafood. I know everyone who tasted this dish walked away talking about it and thinking about it. 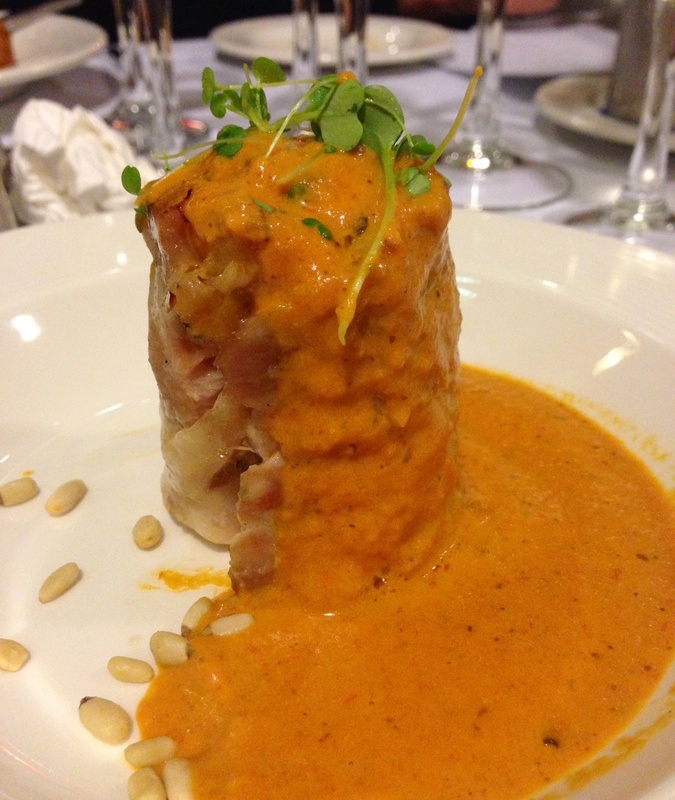 The Chardonnay was paired with an apricot and pine nut stuffed chicken thigh fillet, with a tomato and fenugreek cream. This was also a dish that was completely unexpected. The creamy, aniseedy tomatoey sauce was curried. The curry hit you out of nowhere and was a real taste sensation with the chunks of dried apricot and toasted pine nuts. This was a big second course, almost main sized, and lucky that, it was a perfect combination of sweet, nutty, curry tasty. Here is a rather unattractive photo of it cut so you can see the texture of the chicken dish. I’d like a bowl of that sauce over rice. 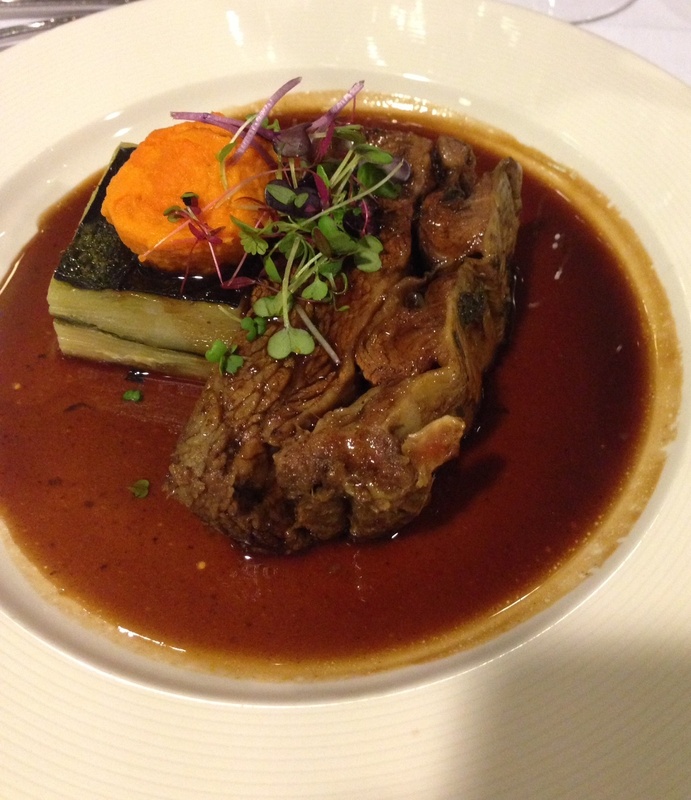 The main was a slow braised full blood wagyu beef short rib with a spinach and potato torte, carrot and cumin puree and thyme jus. I love ribs. 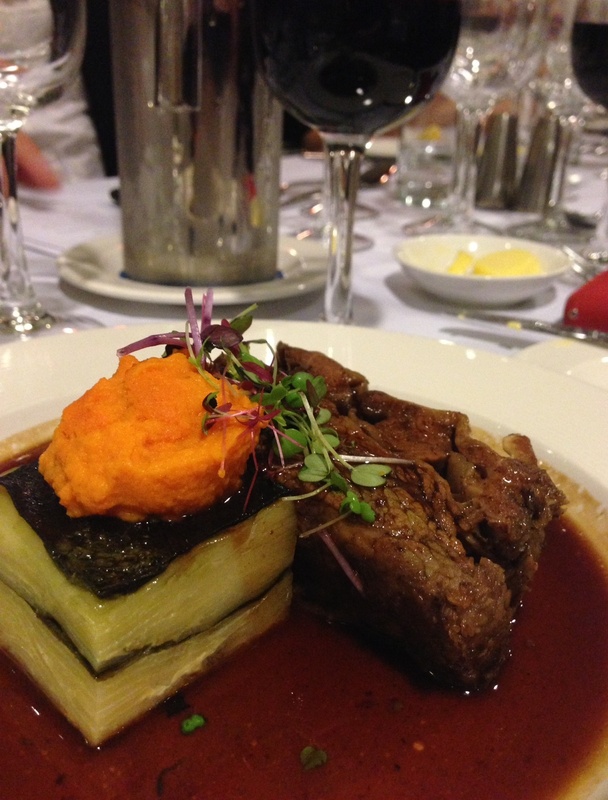 I love slow cooked braised beef. 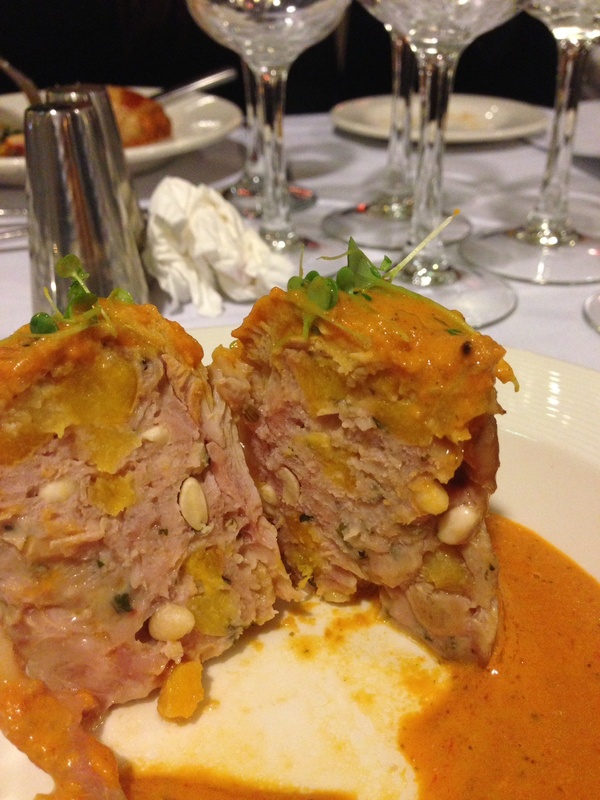 I love potato torte, but I almost couldn’t finish this dish. It was meltingly tender, it was rich, but not overpoweringly so. The carrot puree was sublime with just a hint of cumin, the spice was perfect with the beef, not taking it to a curry dish, keeping it modern Australian, but really adding some dimension to the dish. The sauces Anurag concocts for his meat dishes are legendary. The bones are roasted for hours, the stocks boiled down, the pans deglazed, this process takes days. Sure beats a bit of wine and cream. I took a close shot of the potato torte as that thing was amazing. Soft, salty and irony goodness in a little square. I noticed others who couldn’t finish their rib dish, and mentioned it to chef, he simply said he’d rather his customers walk out knowing they’ve been well fed , rather than leaving hungry. Amen to that. This is where it starts to get a little messy. 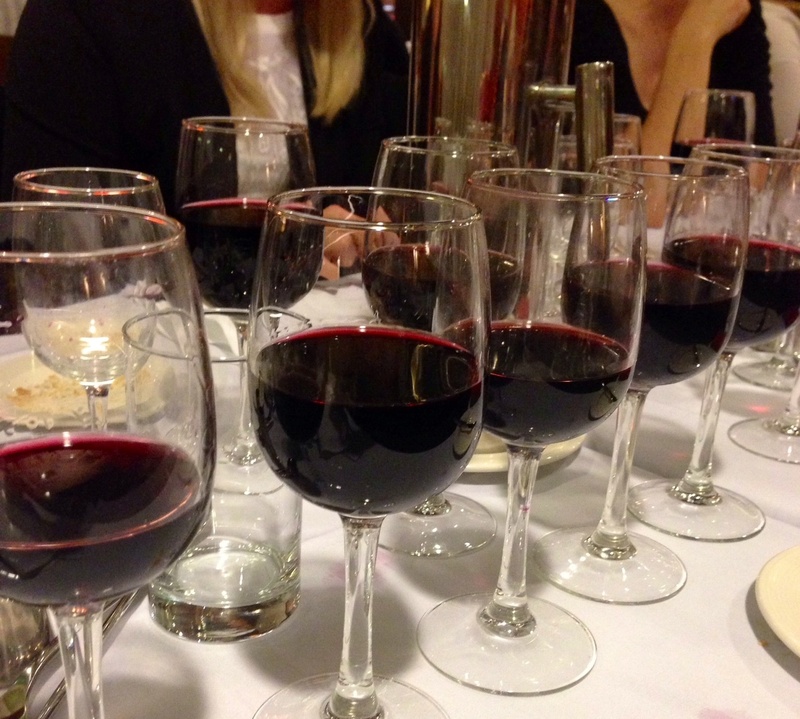 On a table of 10 only 4 of us drank red. I did not drink all of these, although they were all passed down to me in case I wanted them. Sigh. 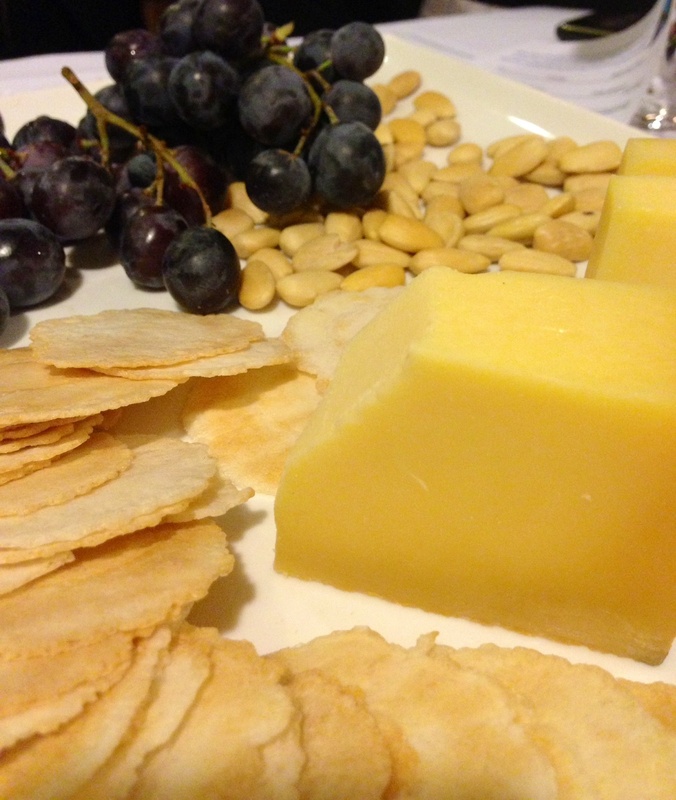 The fifth course was a Heidi Farm Mature Gruyere, with smoked almonds, crackers and grapes. Brave choice serving a gruyere for a cheese course. But it was a good one. It was well aged, a little smokey and not at all heavy to eat. You would normally associate a gruyere as an ingredient not as an eating cheese, but this surprised us all, as it was really easy to eat on a cracker. After all those rich winter warming dishes, this cheese was a winner. Chef uses Heidi Farm cheeses regularly and gruyere is in season, I didn’t realise that cheese has a season. 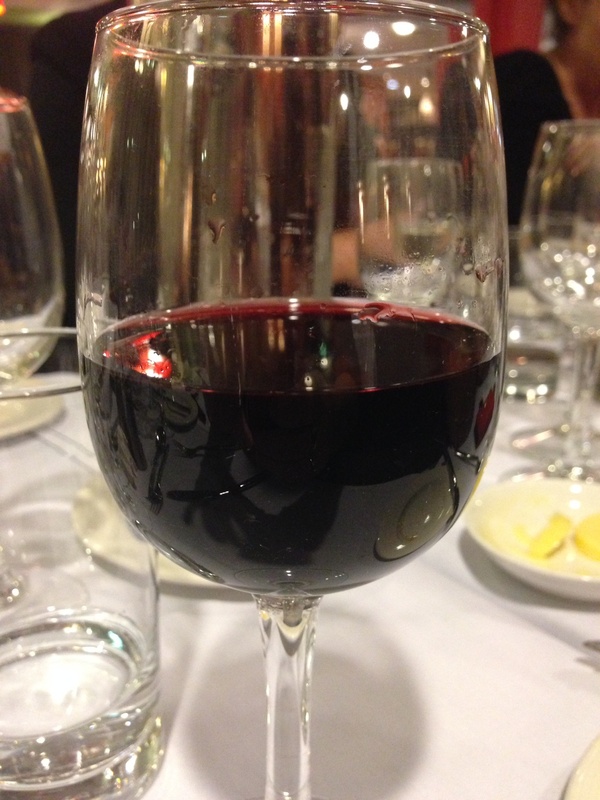 It was paired with a 2012 Robert Oatley Signature Shiraz. And yes, Anurag smokes his nuts. I don’t know why that question drew guffaws from the room when I asked it of the chef. The sixth and final dish (and how I managed to finish this off is beyond me, and beyond my pants, but I did. 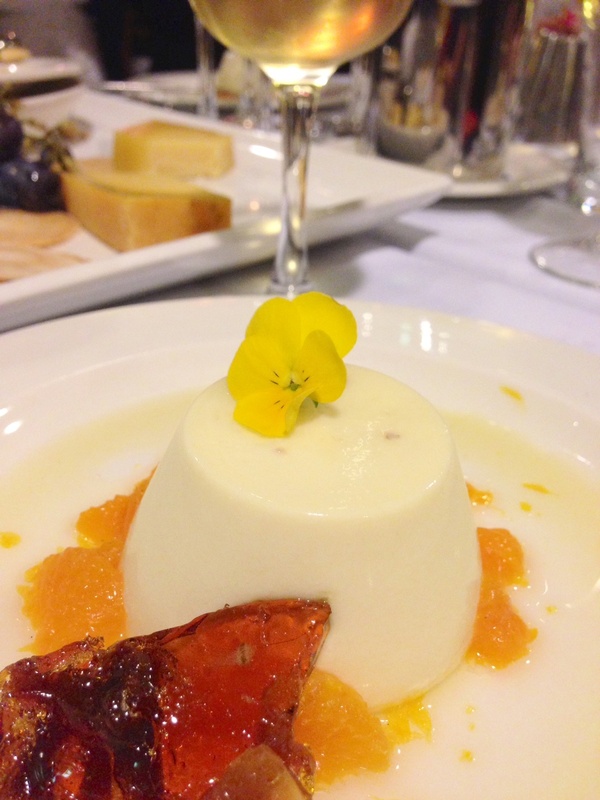 It was like climbing Mount Everest, it was a tough job but someone’s gotta do it) was an apple and lavender pannacotta with mandarin compote and dry fruit brittle. Soft, smooth, wobbly pannacotta with a very subtle taste of lavender and apple. Too much lavender and it risks tasting like your grandma’s sock drawer. This, however, did not. And, the mandarin syrup, with mandarins in season, was lovely. Not sickeningly sweet, light and a little of it went a long way. I don’t recall eating the brittle, but I’m sure I did. And I love that I was sitting at a table with a number of ladies who’d never eaten flowers before. Funny. This was matched with a 2009 Craigmoor Botrytis. Oh, how I love a Botrytis. To think you’re drinking a wine that’s made from diseased grapes, defies belief. I could live on Botrytis alone. Divine. Somehow it didn’t become sweeter with the dessert, it actually softened. It takes a palate of the highest order to make a dessert wine less sweet when eaten with a dessert. My fav of the evening. I could go on. But I won’t. 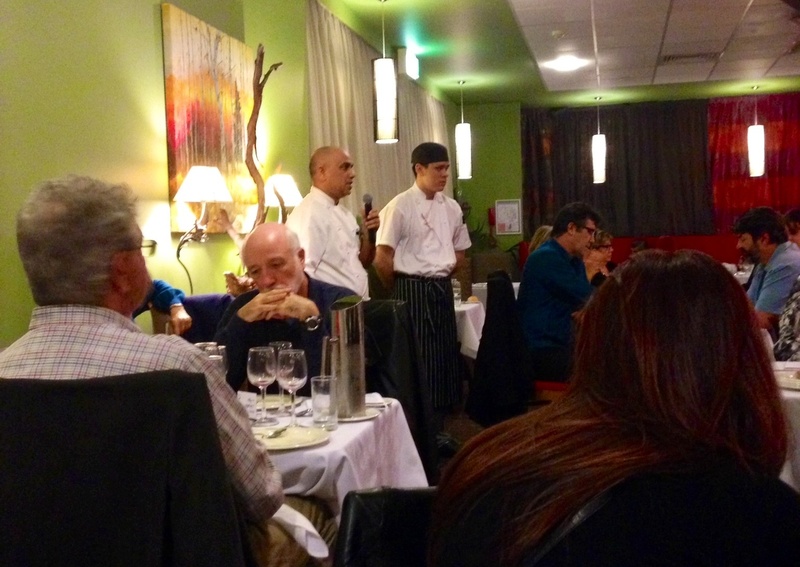 You know, one of the best parts of the night is when Anurag and his chefs come out and answer questions. You can ask him any question about any part of his menu, the suppliers, the source, the feed that the animals ate, the region, the producers, the growers and he knows them all. He hand picks his ingredients and he meets and gets to know his suppliers. The man is a wealth of knowledge and he loves getting out to his customers to pass this knowledge on. 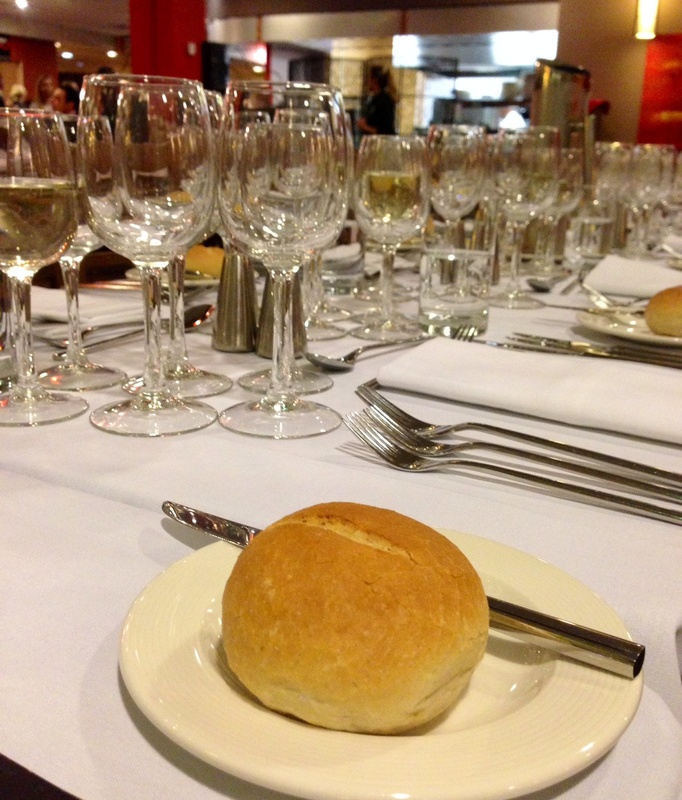 All this for $80, seriously great food, seriously good wine, for a seriously decent price. If you are keen to get to know this chef, his team and the food they create, check out the Chef’s Signature Dinner. I highly recommend it. Kingfish and oyster aioli? Inspired….and all this for $80.00??? That’s it, I am moving to Tuggeranong. Burble. It’s worth moving for, I tell you. So many dishes come out of that kitchen that are inspired, he is a wonderful chef. Loving the hand and breast model in the first pic 😉 This meal certainly was amazing and I can’t wait for the next one! Ha ha, my hand model!